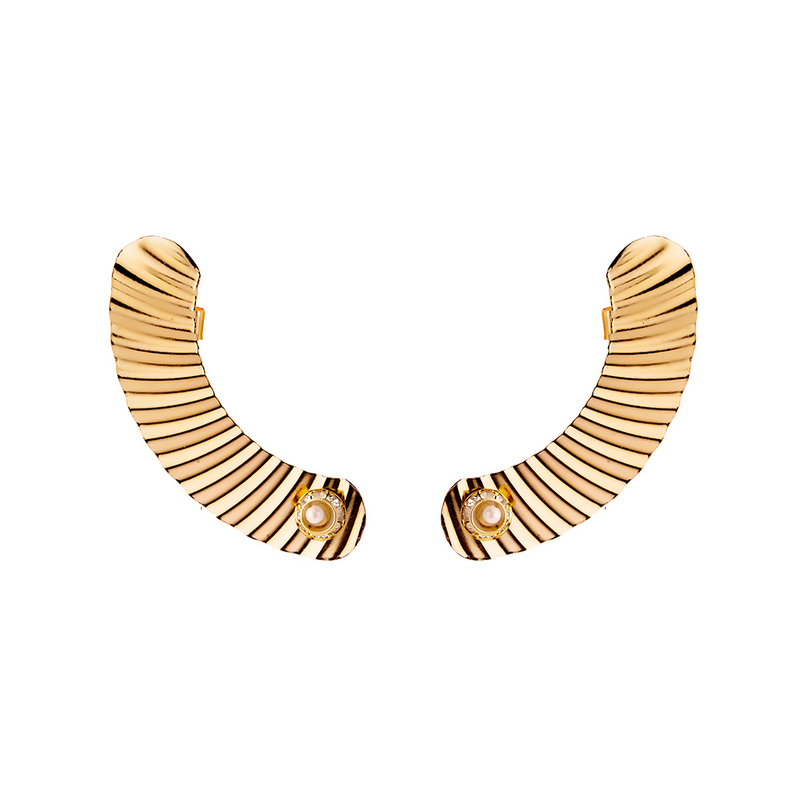 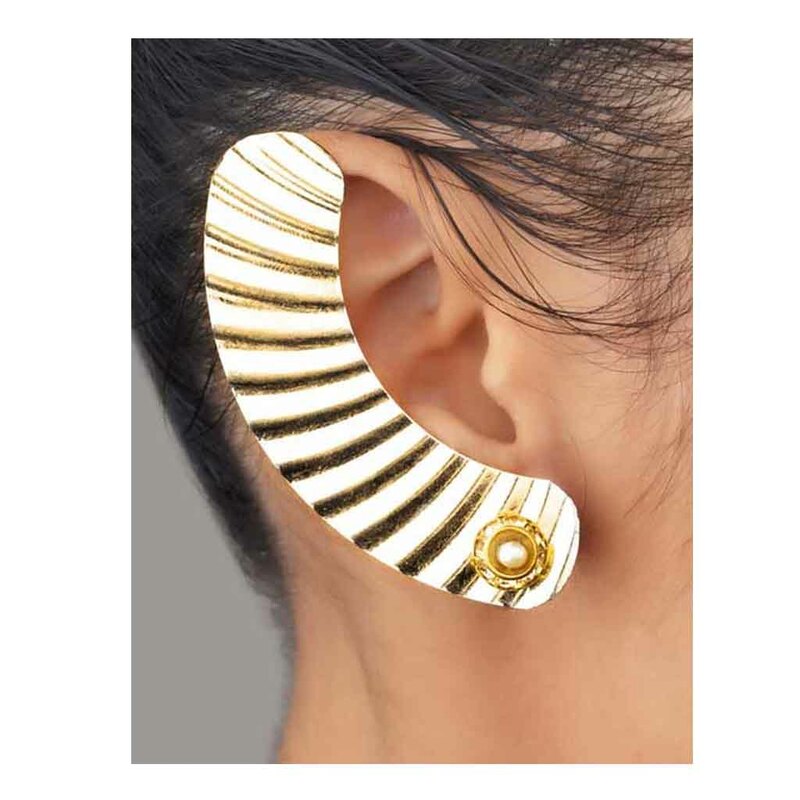 Handcrafted by RJ, Golden finish metallic “C” shape Corrugated earcuff .This designer earcuff is pleasing and graceful and can be worn day to day as well as to formal occasions.Pick this piece to add new definition to your traditional or western outfit. 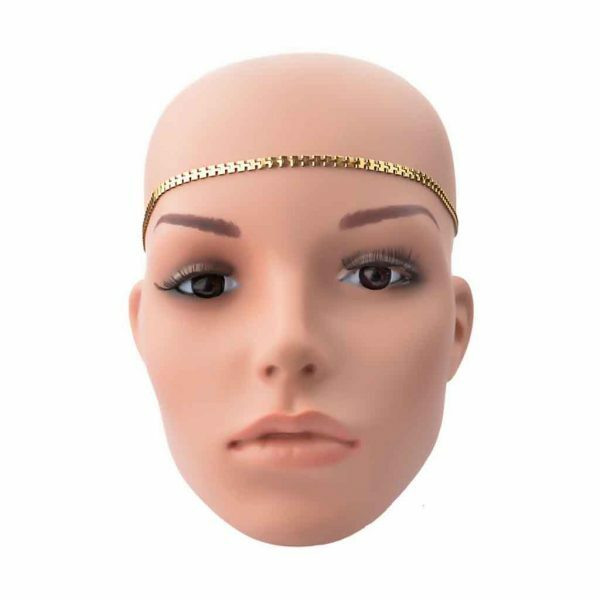 Length :- Over and On the Ear Closure Type:- Push back and clip-on backing to secure it on your ear. 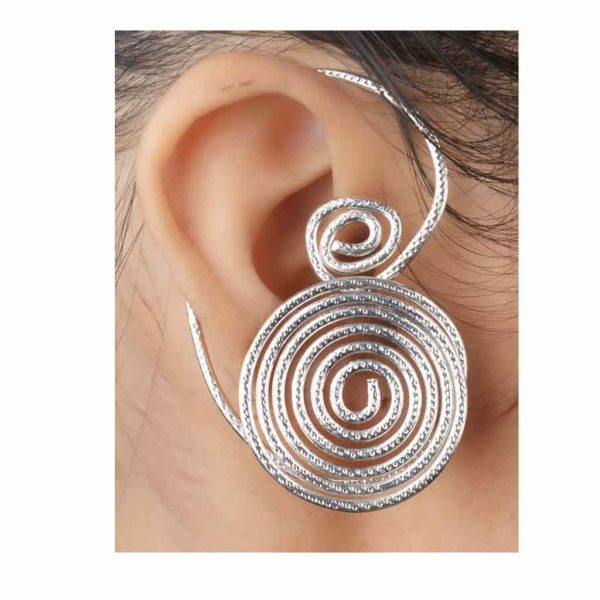 Jewellery Care:- Keep it away from Chemical,Water,Perfume and Store in zip lock Bags for best Result. Disclaimer : – Product colour may slightly vary due to photographic lighting sources or your monitor settings About Brand :- Associated with glamour, style and class, Rejuvenate Jewels fashion jewellery appeals to women across all age-groups. 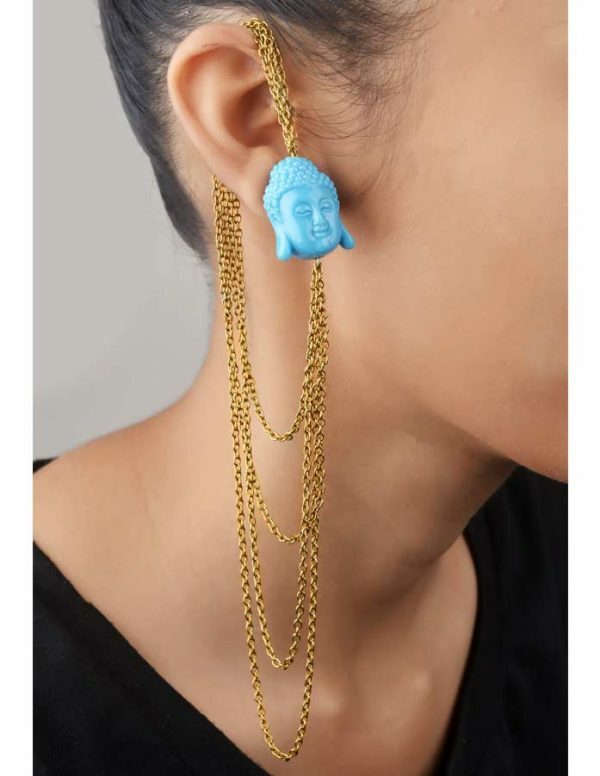 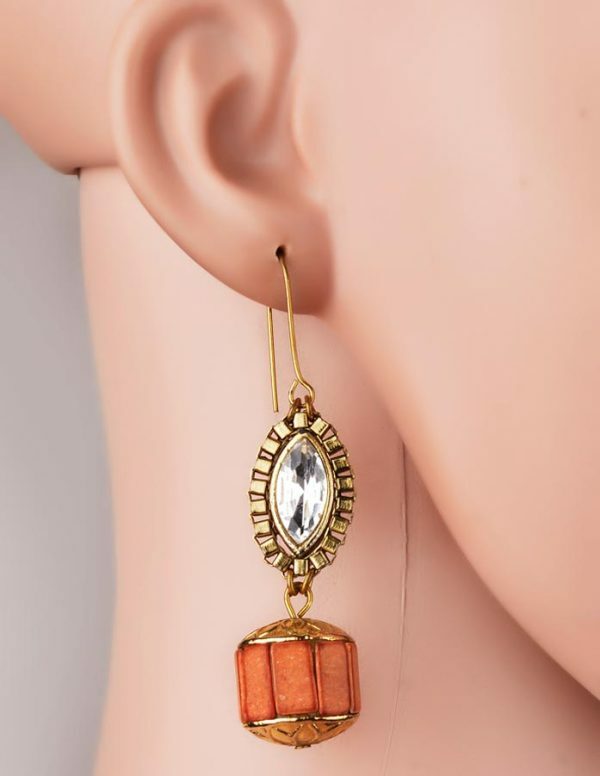 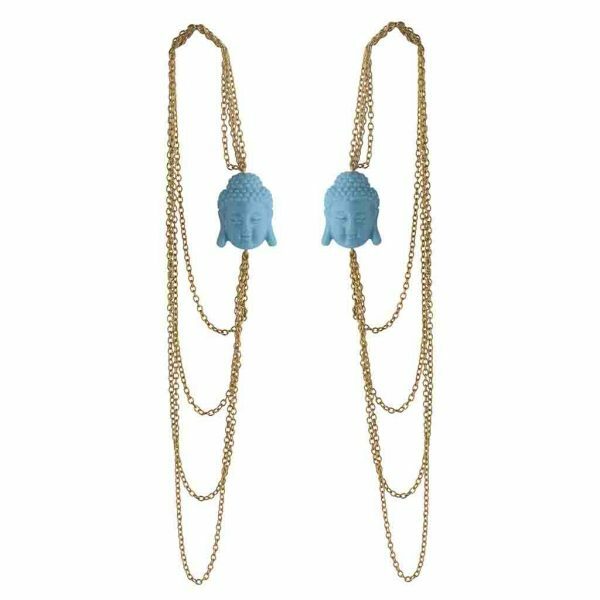 The brand?s jewellery line includes necklaces, earrings, bracelets, anklets and pendants made from Semi precious stones,Brass,metal,mother of pearls,crystals,resin, wood, glass, cord, ribbon etc Click Additional Info Tab to get more Information about the product.